Light Work is pleased to present “Keisha Scarville: Alma.” Keisha Scarville’s primary theme is the relationship between transformation and the unknown. Grounded in photography, she works across media to explore place, absence and subjectivity. Scarville’s exhibition will be on view in the Kathleen O. Ellis Gallery from Nov. 1–Dec. 13 , 2018. The opening reception on Thursday, Nov. 1, from 5-7 p.m., features a gallery talk with Keisha Scarville at 6 p.m. Find Light Work in the Robert B. Menschel Media Center on the Syracuse University campus at 316 Waverly Avenue, Syracuse, NY 13244. The exhibition and reception are free and open to the public. Refreshments served. After the death of her mother in 2015, Scarville deepened her use of photography as a way to explore how the loss of such an anchor point can affect one’s identity and sense of both absence and self in the world. Scarville’s new exhibition, titled “Alma,” presents a selection of photographs whose larger subject is transformation born of loss. She has worked on this project for more than three years and has approached it in several different ways that she describes as “chapters.” Initially the work was about body as medium and then, place-as-container, particularly Guyana, South America, Alma’s birthplace, and Crown Heights, Brooklyn, an enclave of Caribbean immigrants where Scarville grew up, which she continues to call home. Scarville (b. 1975) is a mixed media artist based in Brooklyn, New York. Scarville’s primary theme is the relationship between transformation and the unknown. Grounded in photography, she works across media to explore place, absence, and subjectivity. 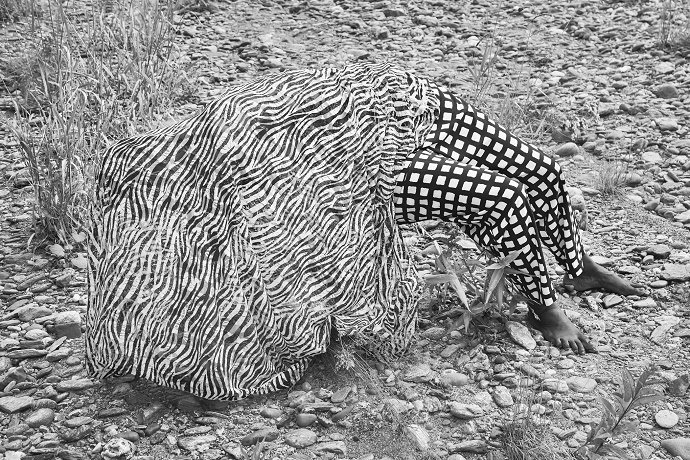 She has exhibited at Aljira Center for Contemporary Art, BRIC Arts Media House, The Brooklyn Museum of Art, Caribbean Cultural Center African Diaspora Institute, Institute for Contemporary Art in Philadelphia, Lesley Heller Gallery, Museum of Contemporary Diasporan Arts, Rush Arts Gallery, and Studio Museum of Harlem. She has participated in artist residencies at Baxter Street CCNY, BRIC Workspace, Center for Photography at Woodstock, Light Work Artist Residency Program, Lower Manhattan Cultural Council Workspace Program, Skowhegan School of Painting and Sculpture, and Vermont Studio Center. Scarville is adjunct faculty at the International Center of Photography and Parsons School of Design. On Saturday, Nov. 2, photographers are invited to sign-up for one-on-one portfolio review in the Light Work Lab with the artist Keisha Scarville. Scarville will explore ideas of narrative structure, editing and content. Reviews are by appointment only, email mlhodgen@syr.edu to register. The “Keisha Scarville: Alma” exhibition and the Portfolio Review Workshop were made possible by the generous support of the Syracuse University Humanities Center and is part of the 2018-19 Syracuse Symposium: Stories.